In our barn are now more than 40 cars. This is too much and so we decided to go higher. 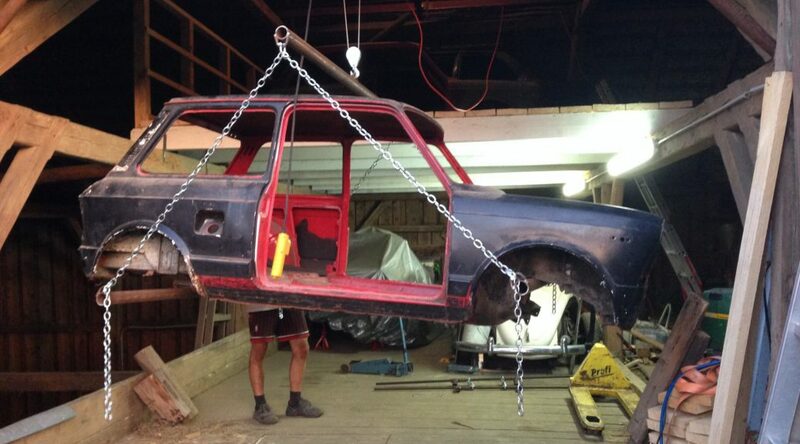 We built in a second floor and a winch to pull the cars of Christian an Benjamin there. Finally we want to show you the last days of Domi and Flo’s trip to the USA. They visited the Crater-Lake National Park, Redwood national forest, San Francisco and a junkyard in Ridgecrest. 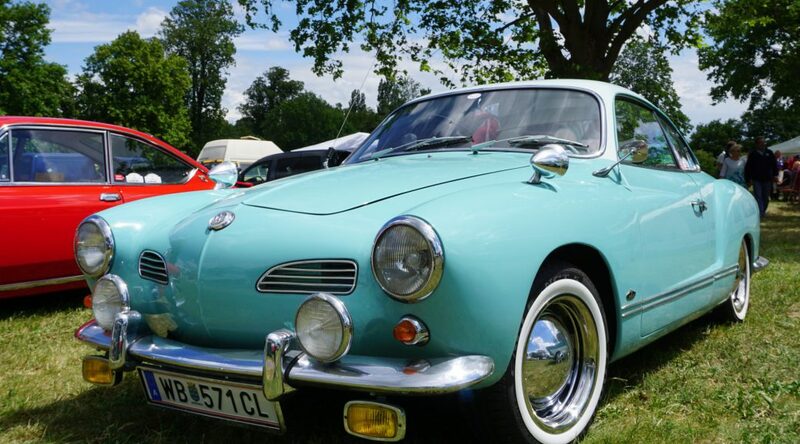 Every second year the VW-Käfer und Bulli Liebhaberclub Laxenburg hosts a meeting at the old campsite in their hometown. We came with four bugs and true to the motto “quantity rather than quality” we didn’t get a top ten award but a prize for being the second largest club at the event. The last of four entries shows the summer lawn where the bulk of the buses have parked. It’s always a fantastic experience at the VolksWorld Show – trip to Esher has fully paid off! The grand stand area allowed the local clubs to present their cars in really nice weather this year. Downstairs in the Esher hall there were some well-known cars which you have probably spotted on one or the other cover of a back issue. In a group of eight we traveled to this years VolksWorld Show to the U.K.. This entry shows the vehicles in the Surrey Hall, one of four display areas at Sandown Park. 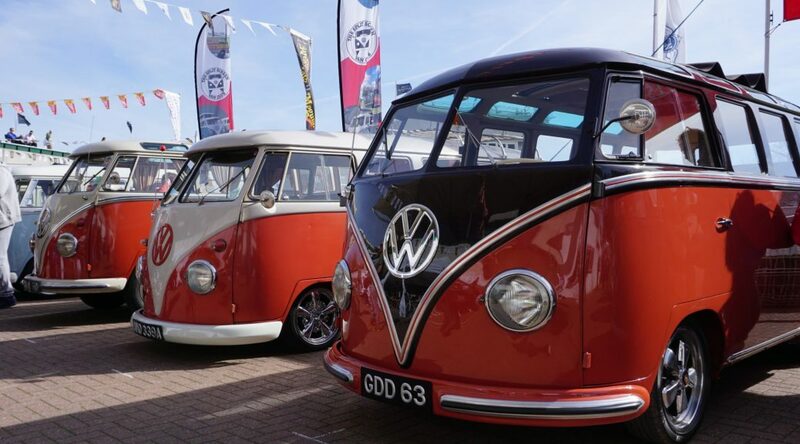 After two of our members got themselves a panel van – Flo with his ’63 split window and Benjamin with his late bay – the next logical step for Gregor was to buy an air-cooled van of the third generation. It’s from 1980 and comes with a 2.0 litre type 4 engine.